Download the CBSE Class 10 English question paper for the examination conducted on March 23, 2019. Also check the paper analysis and watch live video to know students’ reaction on the difficulty level of their English paper. The Central Board of Secondary Education (CBSE) conducted the Class 10 English Examination on 23 March, 2019. 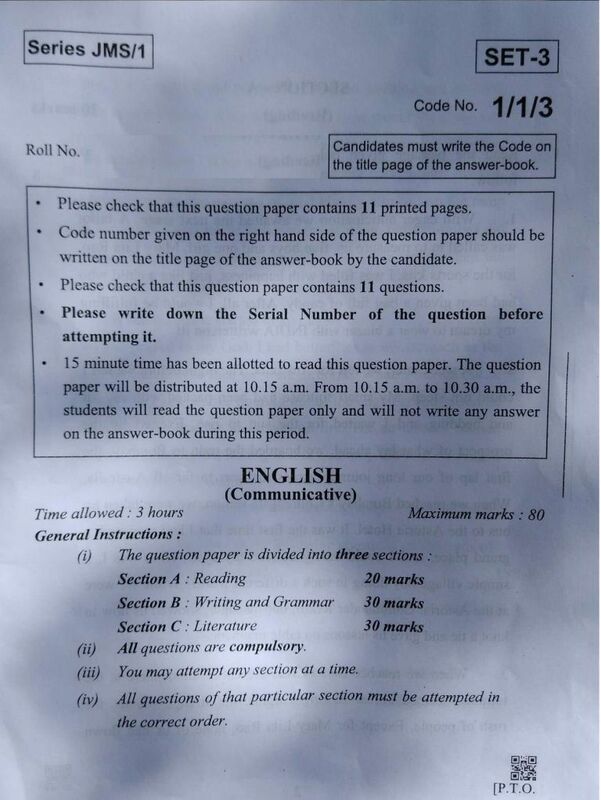 Download the CBSE Class 10 English Question Paper 2019 in PDF format from the link given in this article. English being one of the major subjects in Class 10, this was an important exam for students under the ongoing CBSE Board Exam 2019. Most of the students who wrote their English paper felt that all the questions in the paper were easy to understand and were straightforward. There was nothing in the paper, which one could not understand or attempt. All the questions were compulsory however internal choices were there in a few questions of section- B and Section- C.
The paper carried a total of 80 marks and additional 20 marks are kept for Internal Assessment.